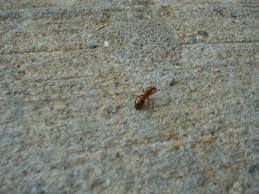 I took my pet ant, Benedict, out for a walk. We came upon my neighbor, Wallace, who was out walking his pet aardvark, Shumkin. Shumkin lunged toward Benedict, tongue extended. I grabbed Benedict and put him in my mouth. Shumkin gave up and he and Wallace continued on their walk. I waited until they were around the corner when I took Benedict out of my mouth and set him back on the ground. Benedict said that it was fast thinking on my part, but what if I’d accidentally swallowed him? I said that I would have felt badly. Benedict said that it was nice that I cared either way.